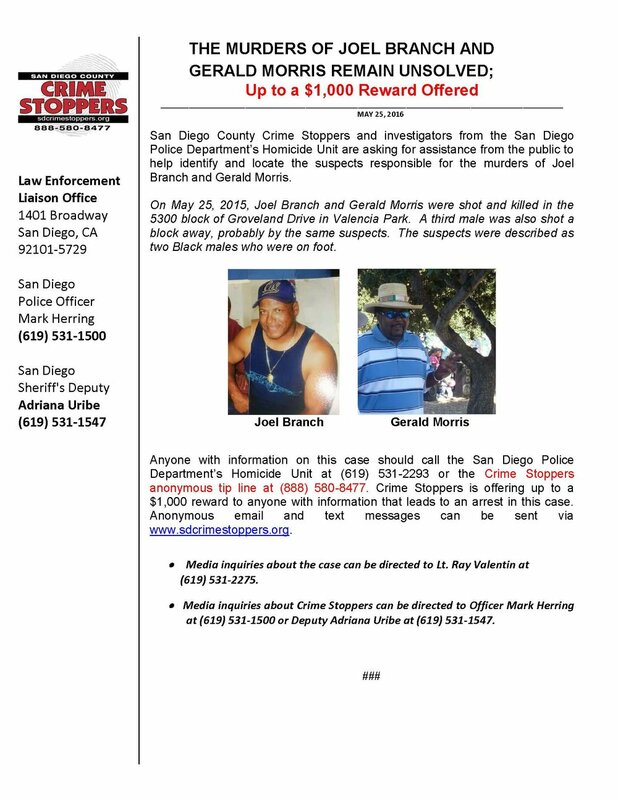 San Diego County Crime Stoppers and investigators from the San Diego Police Department’s Homicide Unit are asking for assistance from the public to help identify and locate the suspects responsible for the murders of Joel Branch and Gerald Morris. On May 25, 2015, Joel Branch and Gerald Morris were shot and killed in the 5300 block of Groveland Drive in Valencia Park. A third male was also shot a block away, probably by the same suspects. The suspects were described as two Black males who were on foot. 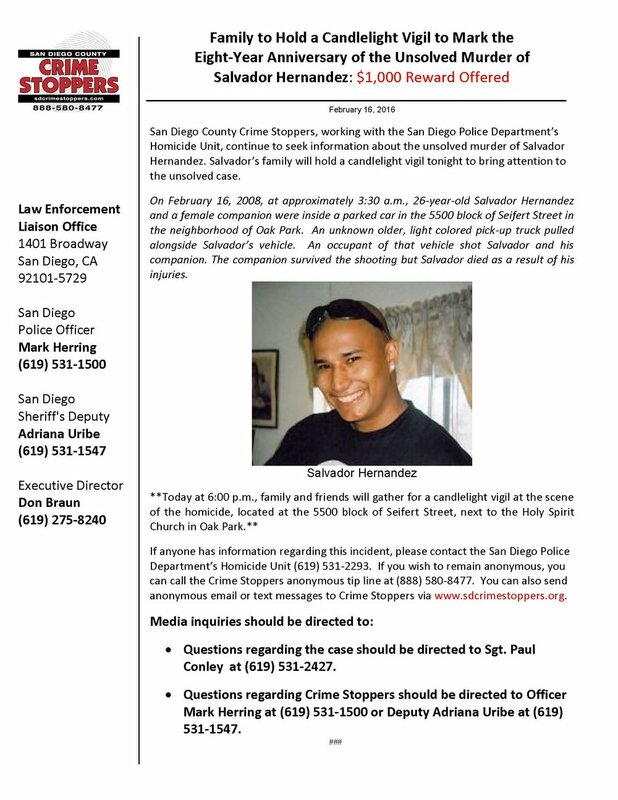 Anyone with information on this case should call the San Diego Police Department’s Homicide Unit at (619) 531-2293 or the Crime Stoppers anonymous tip line at (888) 580-8477. 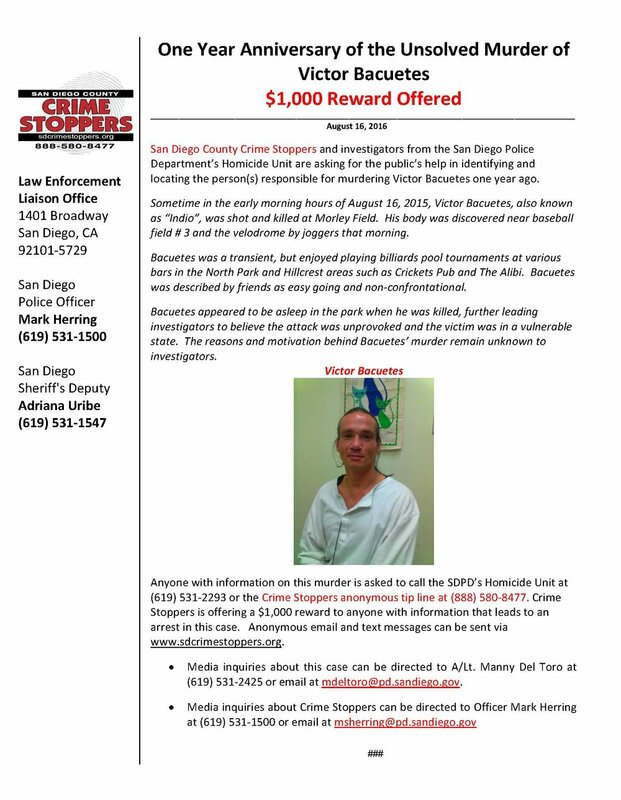 Crime Stoppers is offering up to a $1,000 reward to anyone with information that leads to an arrest in this case. 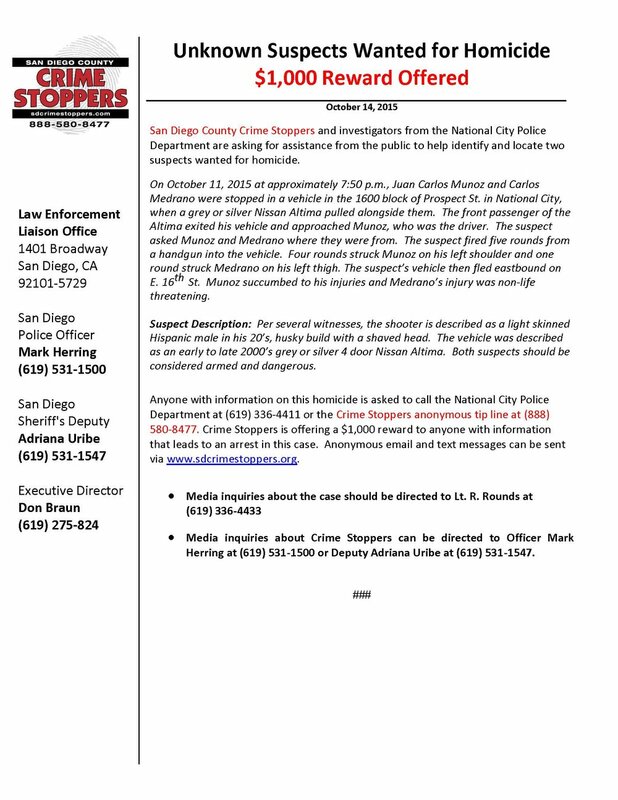 Anonymous email and text messages can be sent via www.sdcrimestoppers.org.